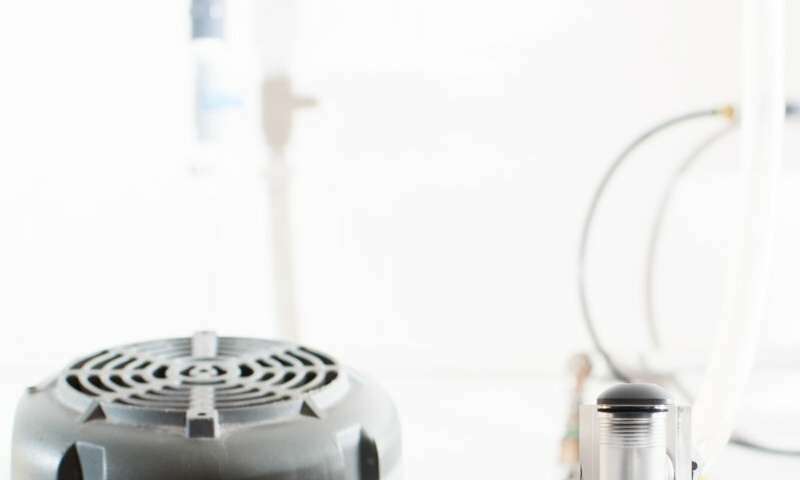 A team lead by Kawatra, a professor of chemical engineering at Michigan Technological University, his Ph.D. students, Sriram Valluri and Victor Claremboux, and undergraduate Sam Root, have designed a carbon dioxide scrubber. They are working on converting the carbon dioxide they capture into oxalic acid, a naturally occurring chemical in many foods. Undergrads work with graduate students to monitor the carbon dioxide scrubber. Simmons is excited about the potential for producing a commercial product from the captured carbon dioxide. "I don't think sequestering it in the ground is a good idea," he said. "We have to find a way to utilize it commercially." Simmons is pleased that Kawatra and his students are conducting a pilot plant study of their scrubber in Michigan Tech's natural gas fired steam plant. "It was important to test the process under actual emission conditions," he explained. Kawatra is happy with the progress he and his students have made removing carbon dioxide from flue gas. And he's excited about the prospect of creating a marketable product from it. "We want to find uses for it," he said. "We want to help industry make money. We want to show that you can take harmful waste like carbon dioxide and make it produce a profit."